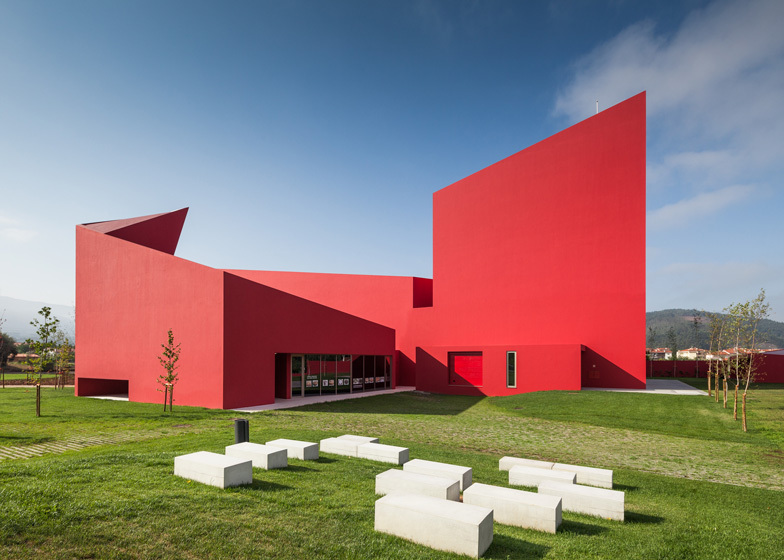 Bright red walls contrast with vivid green lawns at this art and culture centre in Portugal by Lisbon architecture firm Future Architecture Thinking (+ slideshow). 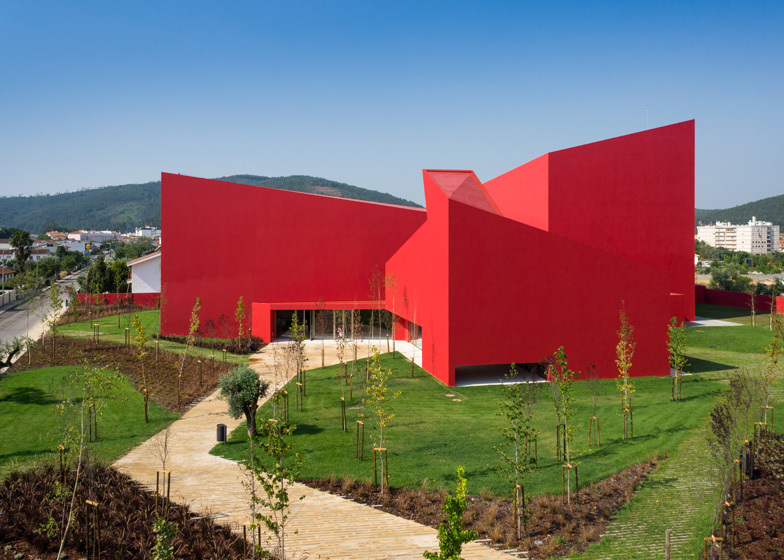 Located in the town of Miranda do Corvo, Casa das Artes is made of three differently sized volumes that are painted red all over to help the building stand out as much as possible from its surroundings. 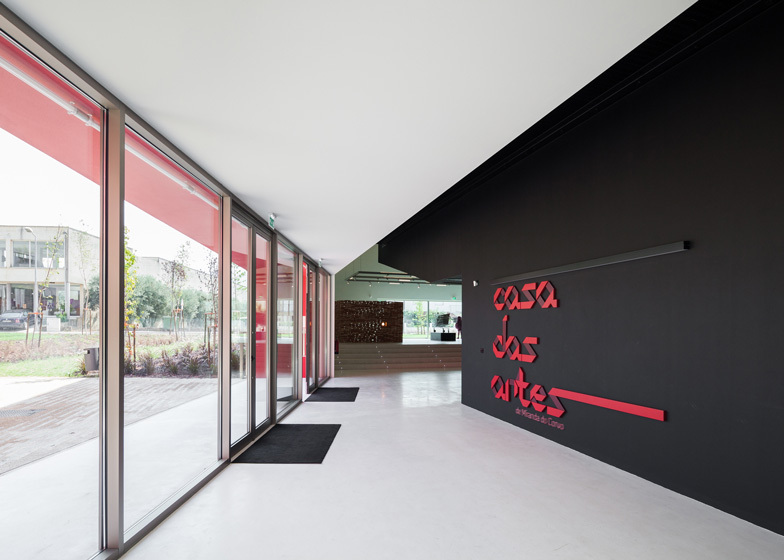 Asymmetric roof profiles were intended by Future Architecture Thinking to correspond with the angular rooftops of nearby houses, as well as with the irregular geometries of the distant Lousã Mountains. "The proposal is based on a contemporary language that is structurally very strong through the continuity between the facades and the roof," said the architects. "The slopes of the roof look for identification with the city rooftops and the use of the strong colour is intended to create a building which is immediately recognisable by the public," they added. A chimney-like skylight stretches up beyond the roof, drawing evening sunlight from the west down to a covered terrace at the building's entrance. 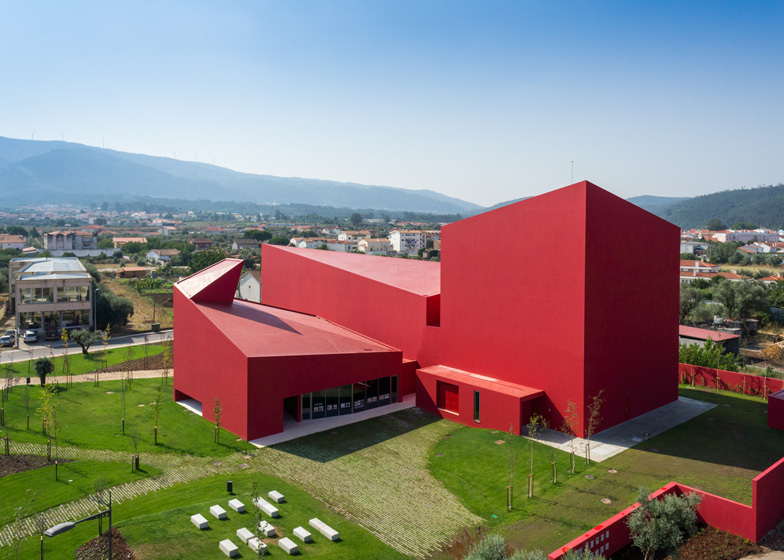 The largest of the three volumes accommodates the stage of a 300-seat auditorium, while seating extends back into a second block positioned behind. This block also contains the auditorium foyer, which doubles up as a split-level gallery for temporary exhibitions, while an independent cafe is housed in the third and smallest block. 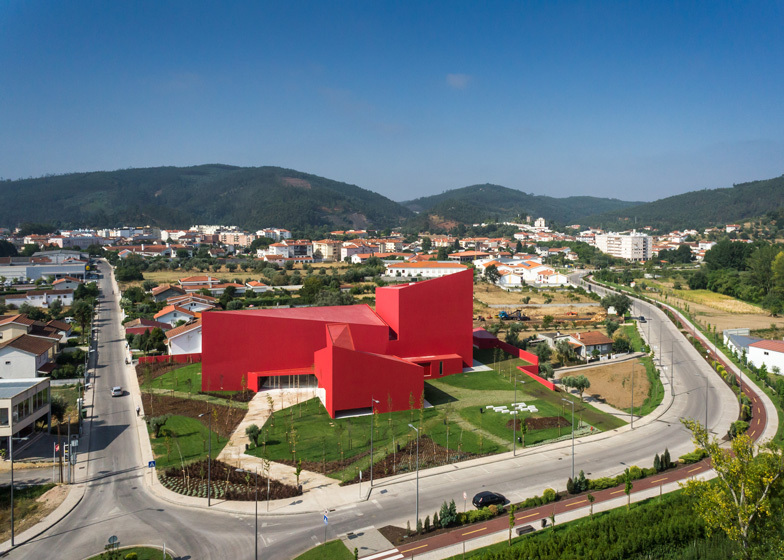 The Casa das Artes (House of the Arts) in Miranda do Corvo expresses the meeting between two identities, rural and urban, in a landscape marked by the Lousã Mountains. The building features a contemporary and volumetrically expressive language. 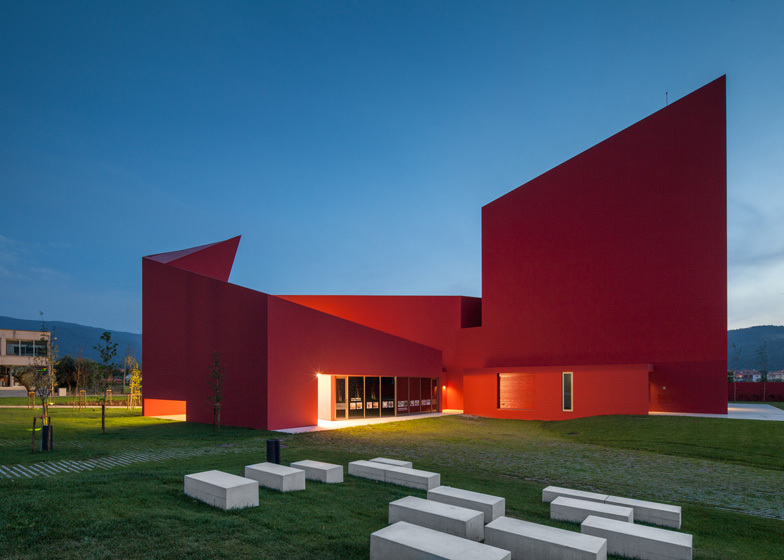 The sloping roofs establish a dialogue with the geometry of the mountain landscape, in an analogy to the village rooftops. 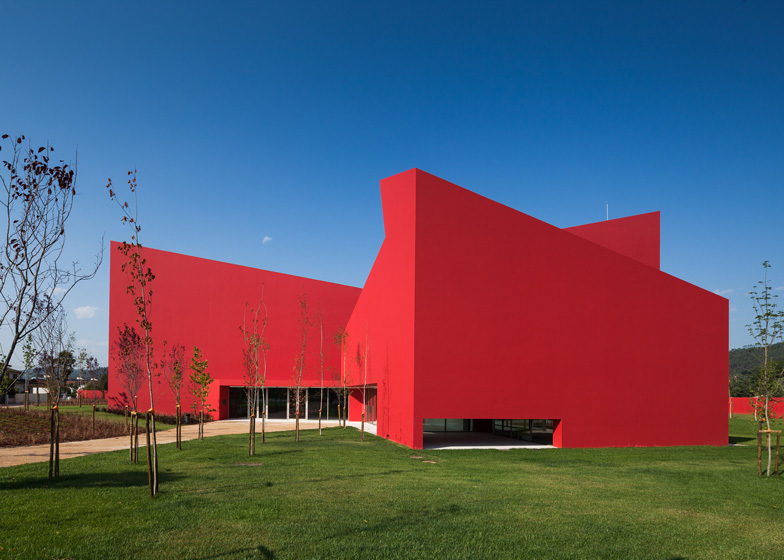 The dynamism achieved through the continuity between facades and roof is accented by a strong red colour, emphasising its design and highlighting the building through the surrounding landscaped area vegetation. 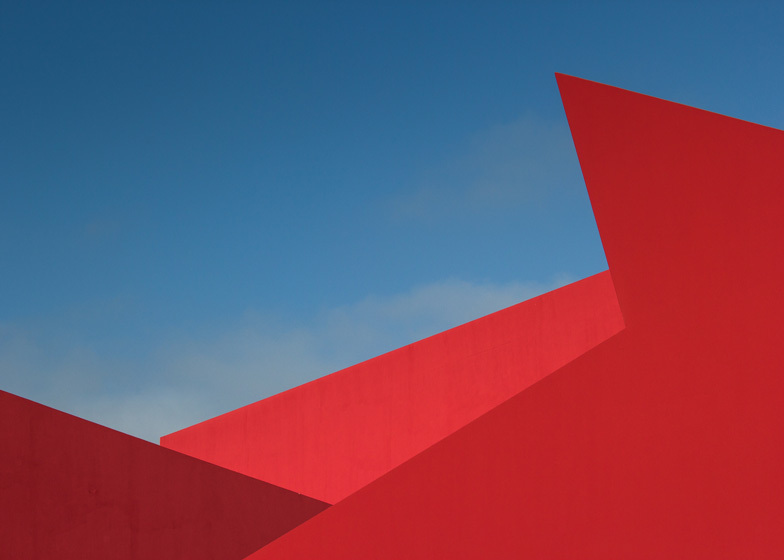 More than a building, the Casa das Artes pretends to be an iconic landmark, celebrating the place where people meet, where culture and art happens, a space capable of promoting and stimulating creative activity, increasing the population quality of life. The project was conceived by creating versatile spaces, technically suitable for different kinds of events, in order to serve all segments of the population. 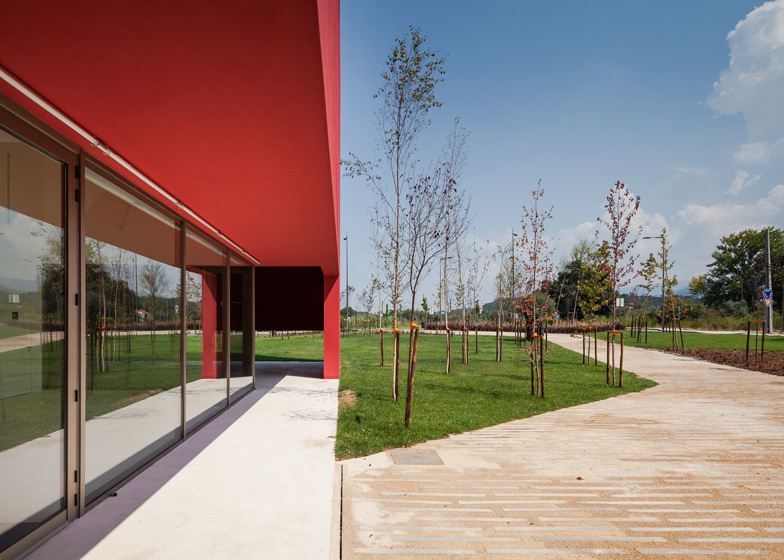 The deployment area was optimised to favour landscaped spaces, allowing the creation of an amphitheatre for outdoor events, integrated in a garden which is a public space for the village, with several spaces and inviting pathways for leisure. 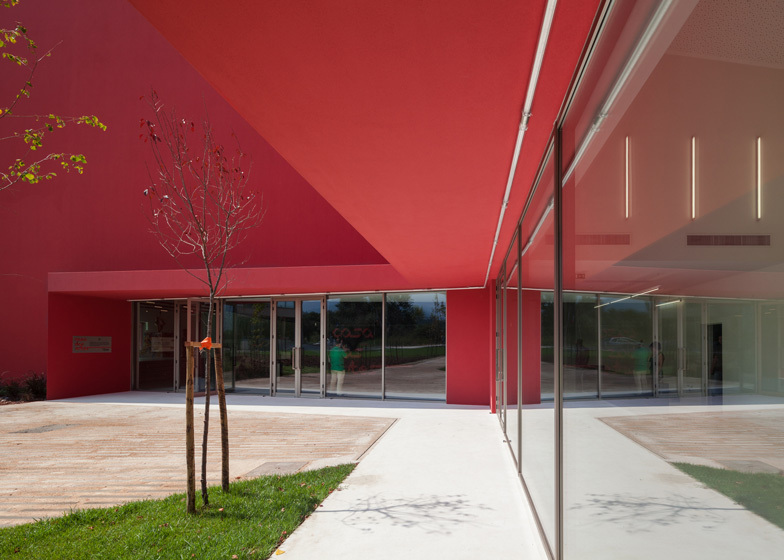 The building consists of three volumes reflecting different sorts of use: the first one containing the stage areas, the second comprising the audience and foyer, and the third with a cafeteria and a future museum area, which constitute a visually independent volume. The proposed diversity of accesses for the building attempts to emphasise the characterisation of this site as a public space, while allowing the public direct access of specific places, such as the museum area and cafeteria, independently, without passing through the auditorium. The main entrance is through the foyer. 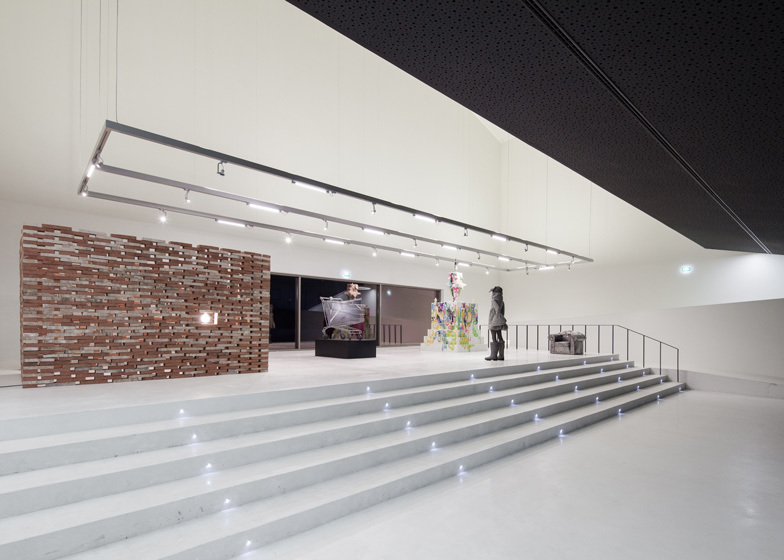 This space may function as exhibition area which can be divided into two by a short flight of stairs. 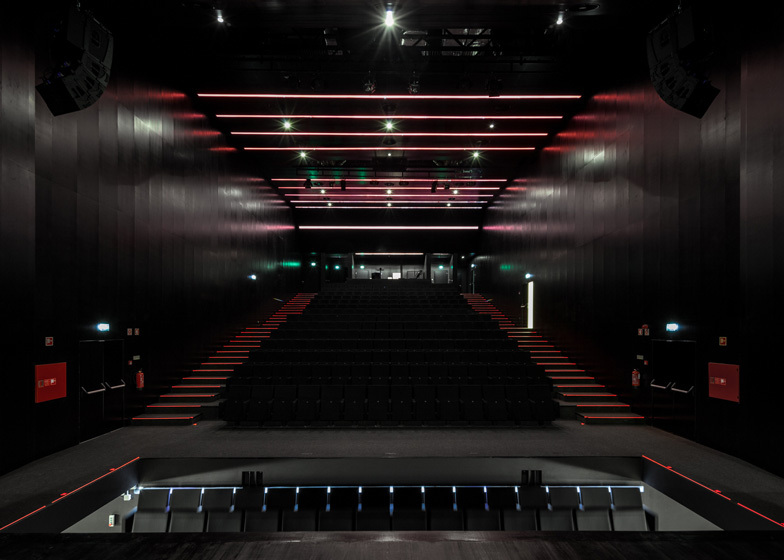 From here depart two paths to an auditorium for nearly 300 people, with a motorised orchestra pit and six technical levels, properly equipped for holding theatre performances, opera, concerts, conferences or lectures.